I know, I know it's probably in some blogger etiquette book somewhere not to blog twice in one day, but this linky party from The Teacher Wife looked like too much fun to not join in on! I love using quality children's literature for mini lessons, in science, in social studies, and even math! I'm fortunate enough to have a Marilyn Burns classroom library in my classroom, and I love having so many math books at my disposal to use to help reinforce math concepts. 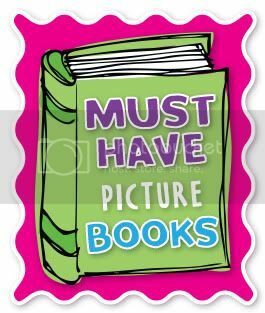 I have lots of favorite picture books, but this list is definitely my top five. The books that instantly put a smile on my face when I open it up to read to my kiddos. 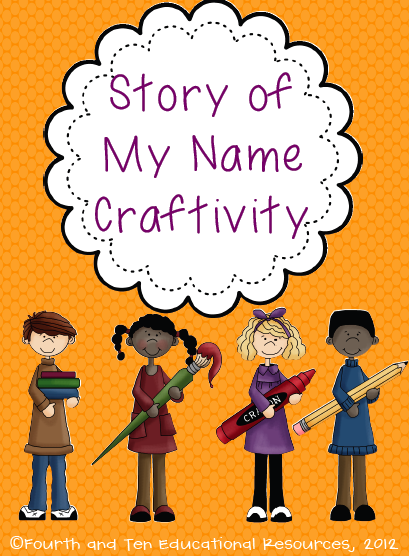 This precious book is all about a little girl named Jo Louis who dreads the first day of school because she doesn't like her name, until her Grandpa tells her all about the night when Joe Louis won the heavyweight boxing title, and why she was named Jo Louis. It's a sweet story about self acceptance and pride in yourself. Plus it is the basis of one of my favorite writing units. Annie Bananie was one of my all time favorite books as a child. My childhood best friend moved away before we started kindergarten and she gave me a copy of this book. I love everything about it, to the rhyming text and the fun illustrations. When I student taught in first grade, I gave the class a copy as a goodbye gift. I think I sobbed my entire way through reading it to the class. I love this book! It teaches such a powerful lesson of the importance of being yourself! I feel this book does such a better job than I any motivational speech I've ever given on the importance of just being you. 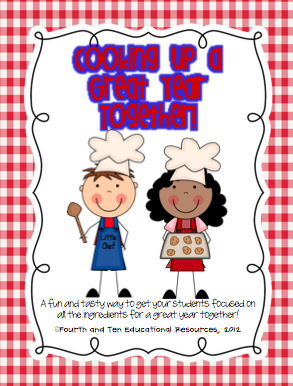 It's also a plays an important part of my Cooking Up a Great Year Together unit. Every year on September 11th, our district requires us to do an activity to commemorate Patriot Day in classrooms. I've always struggled with this because I do feel that it's important, but teaching younger kids, I struggle with what to include in our discussion and what is appropriate/not appropriate. I've loved this book since I read it in a children's literature class in undergrad. I love how it focuses on how the spirit of the towers remains, and lets my kiddos know that the Twin Towers were so much more than just a victim of a terrorist attack. They were buildings were people worked and visited, and played a huge role in the city. Each year on/close to September 11th, I read this book to my class. Since my dad and uncles are/were firefighters and my cousins is currently in the application process for FDNY (so proud! ), I always tear up when reading it! I loved this linky, thanks Lindsey for hosting! I can't wait to check out everybody else's favorites! I'm sure my Amazon cart will become even fuller! I love Annie Bananie. I'd actually forgot all about it. Thanks for recommending it! As soon as I saw it, I remembered it! I think I read it during my student teaching as well. I'll have to check out the book about 9/11. I've seen this on two different blogs today. Thanks! My students loved the story about the man who walked between the towers. We also watched a youtube about the real deal. I'm visiting through the Linky Party. Don't you just love picture books?!!? Great choices! Gotta LOVE Ruby the Copycat. Looks like I'll be making a trip to the bookstore soon! Thanks for sharing such great reads. I'm going to check out more on the Linky Party...look out wallet! I love The Man Who Walked Between the Towers! It's always interesting because the kids have heard about the towers, but they were so little (or not quite here yet) when they fell that they always have so many questions. I love your book suggestions! I can't wait to see how I can use them in my classroom this year!!! Make sure to stop by and enter my giveaway! Your list was great. I totally pinned several of them. I am your newest follower! Thanks for sharing these books!